Home » Resources » It’s Snowing on My Solar Panels – Now What? 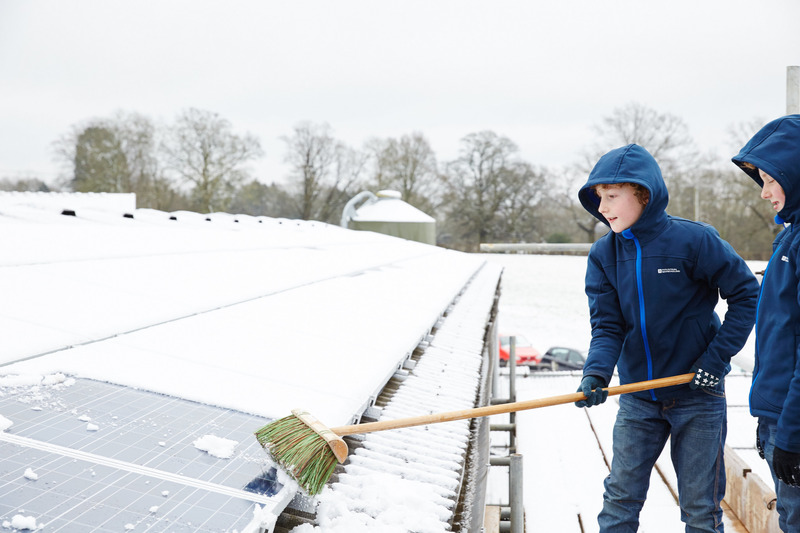 It’s Snowing on My Solar Panels – Now What? Solar energy is environmentally friendly and can potentially save you a lot of money. And, as solar arrays work well in a variety of climates, they can provide sustainable energy solutions regardless of locale. However, despite the fact that solar panels do function better in cooler temperatures, heavy snow accumulation can restrict the amount of sunlight that gets through to your array, slowing down energy output and rendering your panels less effective. If you’re facing your first winter with a solar array, here’s a quick guide to handling snowed-in solar panels. What Happens When Snow Gets on My Panels? 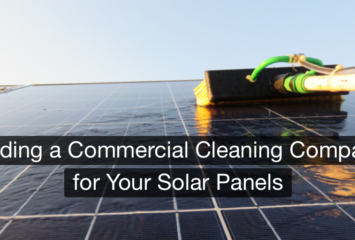 Your solar panels will only collect energy if they are exposed to the sun. When they get covered by snow, even in a small patches, their energy output may be drastically reduced. If your home is connected to the grid, that’s not a big problem — you’ll still have access to power. 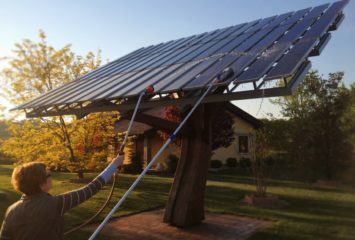 If you live off-grid, however, it’s important to clear your panels to keep your home appliances running properly. What Can I do About the Snow? There are several options for homeowners who have snow on their solar panels. Wait for the snow to melt. Most solar panels are installed at an angle and face the sun, which helps the panels to absorb solar energy. This also means that when the sun rises, the snow can easily melt and slide off. This is the easiest and safest solution, although it can take time for the weather to warm up enough to melt snow. You can clear the area beneath the panels so that the snow will have a place to slide when the temperatures rise again. The light reflecting from the snow on the ground will also boost energy production slightly, which will make up for lost time. If you can’t wait for the snow to melt off, or if you’re concerned about the weight of the snow on your array, consider hiring a professional to clear your roof. Plenty of local snow removal companies offer rooftop clearing services. They’ll be able to get the job done quickly and safely. A roof rake with a rubber head can help you clear snow from your solar panels without damaging them. Roof rakes are available at most hardware stores. While this method is the fastest and the most direct, there are also several risks involved — you may void the warranty on your panels, and it can be quite dangerous to climb out onto your snowy roof. This solution is best suited for emergencies. How Can I Prevent Snow Build-Up in the Future? If your solar panels aren’t installed at an angle, consider having them adjusted or reinstalled so that accumulated snow can more easily slide off. Orienting your array southward is another good idea — south-facing panels will see more sun during the winter months, leading to faster snow melt. You can also purchase solar panels that work in all weather conditions. These panels will use a small amount of energy to heat up the surface of the panel and melt the snow before it accumulates too heavily. Will my Energy Costs Go Up if My Panels Aren’t Producing as Much? Ultimately, the amount of energy collected during cold winter months is very low — the days are shorter and the amount of sunlight reaching your panels will be minimal. Fortunately, because most on-grid solar energy systems work through a credit system, the energy you accumulate during the summer months will roll over to the winter months and keep you from spending too much on power. In situations that are more time-sensitive, you can take extra steps to get your panels functioning back at full capacity. If you have the option, though, it’s generally easier and safer to just let the season run its course.